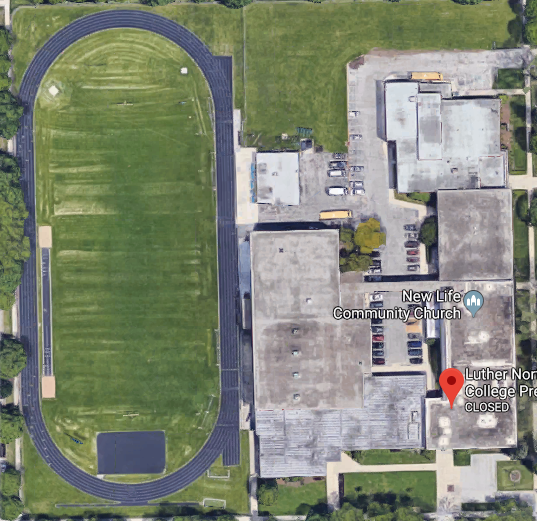 On October 24, 2018, the Chicago Board of Education voted to purchase the building that was Luther North High School as the new location for Rickover Naval Academy. This new building is located at 5700 W. Berteau Ave, Chicago, IL 60634. The staff, faculty and cadets are excited about this move which will give Rickover its own space. Cadets will have a place to call their own. The school has wonderful facilities which include newly renovated science labs, a beautiful band room, a black box theater, two huge gymnasiums and plans for a maker space. The campus also boasts a quarter-mile, 6 lane track, a regulation football/soccer field and plenty of parking. Having a space of its own will allow Rickover to realize its vision of a liberal arts education for Chicago's youth. This space will make it more possible for students to experience leadership, performance/visual art, athletic and academic excellence. The Rickover school community is poised and excited to become an important part of Portage Park.